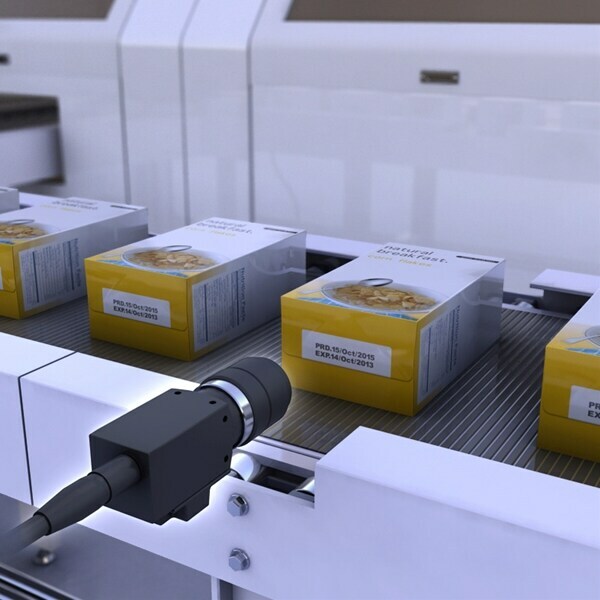 The vision system checks for correct dates on pharmaceutical packaging. The XG-7000 Series isolates the printed characters by cancelling glare with the Real-time Shade Correction filter. As a result, it is possible to stablize verified correct dates without being influenced by inconsistent lighting. The vision system detected the dates, but they were often misread due to glare from the transparent film. The XG Series makes it possible to stably detect dates by removing glare with the Real-time Shade Correction filter.